Frantisek Drtikol портрет фотография . Though he is best known for his Art Nouveau and Art Deco nudes, when Frantisek Drtikol (1883-1961) passed way, he left more portrait photography than anything else--thousands of images made between 1910 and the 1930s. 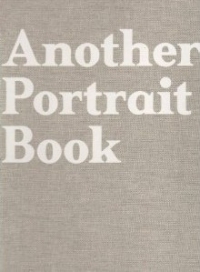 This ambitious book is the first ever devoted to those portraits alone. The selection, culled from some 2,000 in Prague's National Archive, presents a gallery of eminent Czechs and Slovaks during the first Czechoslovak Republic, as well as prominent visitors to the country from many walks of life. Apart from their pure documentary value, these images reflect Drtikol's efforts to capture his sitters' inner selves, bridging idealism and materialism. The artist has also been the subject of The Photographer Frantisek Drtikol and Photographs by Frantisek Drtikol; this volume is compiled and written by Josef Moucha.